Credo systemz are making it a cakewalk for you by providing a list of most probable Machine learning interview questions. These interview questions and answers are framed by a Machine learning Engineer. This set of Machine learning interview questions and answers is the perfect guide for you to learn all the concepts required to clear a Machine learning interview. 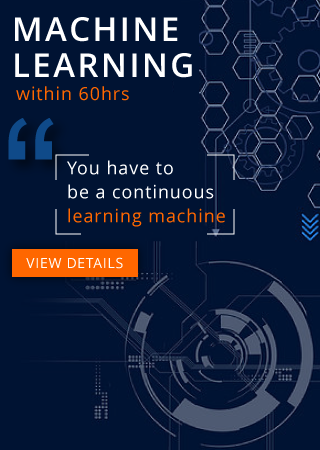 To get in-depth knowledge on Machine learning, you can enroll for live Machine learning Certification Training by Credo systemz with 24/7 support and lifetime access.